Chris Burns. Actor. » Avengers Assemble! 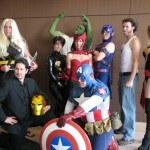 Just wrapped filming two episodes of a new web series “Avengers Assemble” . I am Acting and Producing alongside Writer/Producer Brian Godleski and the first two episodes are being Directed by Pat Clark. 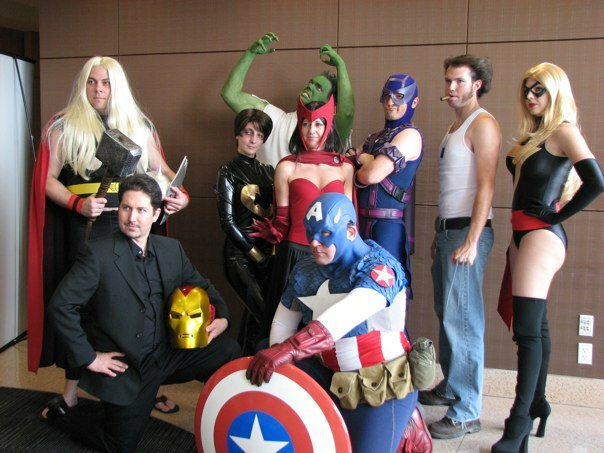 My amazing wife Miracole and I have spent the last two weeks building all of the costumes and fitting talent to them, all of except the Captain America and Hawkeye costumes. A heartfelt thanks to our friend and fellow Costumer Brian Parsley, for the loan of the Hawkeye costume I wore, and to Jamie Vosseller who provided us with the best location we could have dreamed for. Here is a cast shot from Episodes 1 & 2. The Cast includes Matt Cornwell, Brian Godleski, Jen Richards, Casey Edwards, Lara Leigh Stevenson, Kevin Spooner, Myself, Jackson McDonald, and Miracole Burns. Congrats on an incredibly fun shoot guys!